One of the most important aspects of any vacation is deciding where you will be dining. Luckily, Leavenworth, WA has no shortage of fantastic restaurants to choose from. 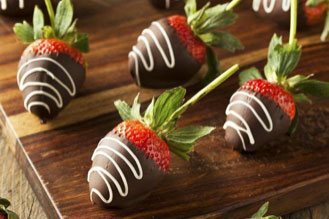 Whether you’re interested in trying authentic German fare, hungry for a juicy burger, or want to treat your sweetheart to a romantic meal, the options for Leavenworth restaurants are nearly limitless. Here is a quick look at some of our favorite local restaurants that are sure to satisfy your appetite. Don’t forget to find even more local dining options by downloading a free copy of our Leavenworth Vacation Guide! 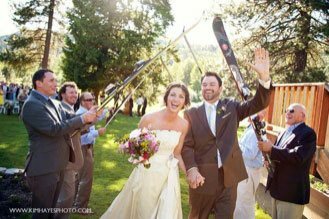 Andreas Keller isn’t just one of the most popular Leavenworth German restaurants. It’s actually one of the most popular restaurants in general! The restaurant stays loyal to its German traditions with traditional dishes, imported draft beers, and even live Bavarian music! During your visit, you’ll definitely want to expand your palate by trying selections such as the Classic Pork Wiener Schnitzel and the signature Cream of Weinkraut Soup. If you love tasty sausages, a great beer selection, and good times with friends and family, then Munchen Haus is an absolute must! Only the highest-quality ingredients are used to craft their wide selection of fresh German sausages, franks, and wursts. While you’re feasting on the mouthwatering sausages, wash it all down with a refreshing locally crafted beer! For a romantic evening out, we highly recommend Alley Cafe. This quaint and intimate restaurant serves up all of your Italian favorites within a warm and welcoming ambiance. The menu also boasts a cocktail and German fare section if you’re not in the mood for Italian. Also known as the Leavenworth Sausage Garten, Visconti’s prides itself on their use of old-world methods to create house-made sausages, pasta dishes, and seafood. A wood-fired oven is heated to 700 degrees and used to sear meats and vegetables for an unforgettably delicious taste. No wonder it won the OpenTable Diners’ Choice Award. Gustav’s is a Bavarian-style tavern located right in the heart of Downtown Leavenworth. The menu features a wide variety of selections including Bavarian sausages, deli sandwiches, hand-cut fries, and much more. Plus, you can choose to dine on the restaurant’s sun-soaked deck overlooking the mountains and the river or inside the beautiful pine-paneled three-story onion dome. King Ludwig of Germany himself would love to dine in this lively restaurant! King Ludwig’s Restaurant is always filled with people singing, dancing, and feasting on Bavarian-inspired specialties. As you eat, take a look around the restaurant to enjoy the colorful murals and stunning hand-woven tapestries that are made to feel as if you’ve been transported right into the heart of Bavaria. Since opening in May 2012, Fresh Burger Cafe has quickly grown to become one of the best Leavenworth restaurants. All of their burgers are made from scratch using locally-sourced ingredients, ensuring a fresh and delicious burger each time. They also serve a wide variety of salads, soups, and specialty sandwiches. 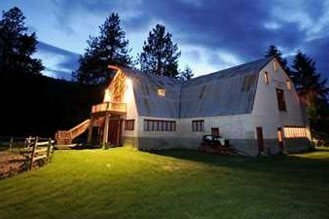 Located just minutes from downtown and the best restaurants in Leavenworth, WA, Pine River Ranch is premier rustic lodging at its finest. During your stay in one of our romantic suites, you’ll enjoy luxury amenities that you’d expect from reputable resorts within a peaceful setting. 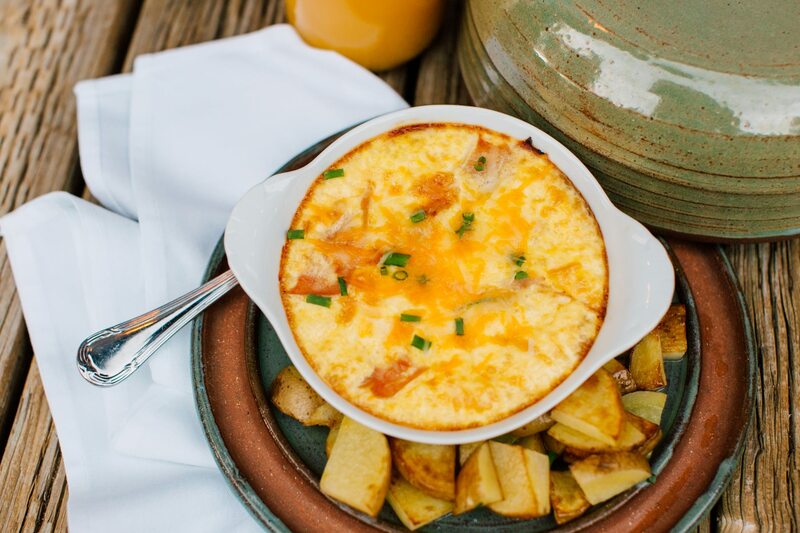 Each morning, you’ll also enjoy a delicious hot breakfast delivered straight to your door! It’s the perfect way to fuel up for a full day of Leavenworth adventures. 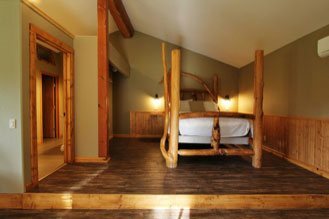 Book your favorite suite at Pine River Ranch today and we look forward to seeing you soon.